Dawn won’t be traveling this summer for her Art Festival Tour. She is working away in her studio on some exciting new work which she will be taking on the road in 2011, as well as some inspiring new private commissions. Feel free to call or send an email with any requests or simply to say hi and reconnect. 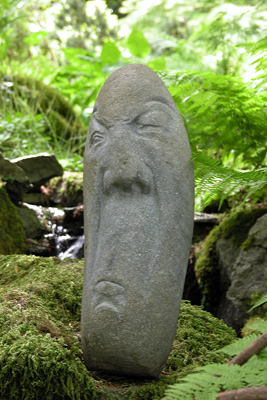 Rocknoggins are available in art, garden, and stone sculpture exhibits and shows throughout the Northwest as well as art galleries and garden centers. If you know of an event or location not listed here, please tell us about it. The annual Local 14 Art Show & Sale represents the artwork of approximately 95 talented women artists from throughout the Pacific Northwest. The show was founded with the goal to promote woman artists and offer the public an attractive mix of well-crafted, high quality, and original artwork. The show has become a highly anticipated, very successful and well attended Portland event. The show opens with a gala evening celebration on Thursday the 14th, and continues through Sunday evening, at the World Forestry Center in Portland, Oregon. The 7th Annual Aspen Arts Festival set in Wagner Park in downtown Aspen is a juried show featuring over 200 artists. Aspen's spectacular mountain setting provides a wonderful “open art gallery". This 2nd Annual juried Art Festival is set in beautiful and eclectic Boulder and is emerging as one the city's favorite art events! 29th Street, between Arapahoe and Pearl St.. The 37th annual Crested Butte Festival of the Arts is ranked among the Top 100 Fine Art and Craft shows in the country. Approximately 180 artists will line Historic Elk Avenue—nestled in the majestic Rocky Mountains. The charming and eclectic town of Crested Butte, a National Historic District, is the venue for this outdoor show. Admission and parking are free and entertainment programs are scheduled throughout the weekend. 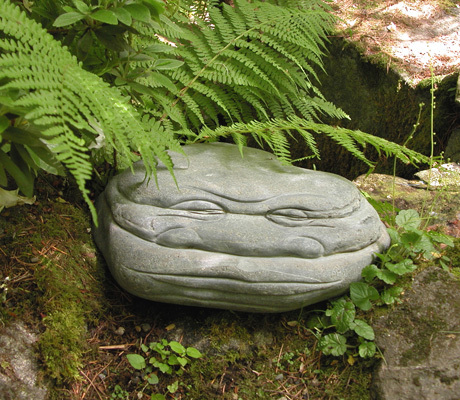 The Loveland Sculpture Invitational Show & Sale is America's largest outdoor sculpture show. This show is considered one of the most prestigious events of the year, celebrating sculpture in all its form. In a spectacular setting at the foot of the Rocky Mountains, art lovers and collectors from around the country come together to enjoy and purchase the work of premier artists in the largest gathering of sculptors in the country. The Telluride Festival of the Arts will delight both food and art lovers alike. Culinary admirers and fine arts aficionados come together to share a common passion for food, art and entertainment. This very exciting show is set in the charming Telluride Mountain Village, a magical retreat and gondola ride from the historic town of Telluride. This event is not to be missed! The annual Local 14 Art Show & Sale represents the artwork of approximately 95 talented women artists from throughout the Pacific Northwest. The show was founded with the goal to promote woman artists and offer the public an attractive mix of well-crafted, high quality, and original artwork. The show has become a highly anticipated, very successful and well attended Portland event. The show opens with a gala evening celebration the First Thursday of October, and continues through Sunday evening, at the World Forestry Center in Portland, Oregon. “Fill Your Heart with Local Art"!